The Falls Prevention Clinic includes a dedicated team of geriatricians, clinical staff and researchers that are dedicated to improving mobility, functional independence and quality of life. We are currently running the Falls Prevention Clinic at Vancouver General Hospital. Dr. Teresa Liu-Ambrose, PhD, PT, Associate Professor, is physical therapist and a Canada Research Chair at the University of British Columbia, Department of Physical Therapy. She directs the Aging, Mobility and Cognitive Neuroscience Laboratory as well as the Vancouver General Hospital’s Falls Prevention Clinic. Moreover, she leads the Canadian Longitudinal Study on Aging data collection site located at the University of British Columbia. Dr. Liu-Ambrose’s research program focuses on defining the role of exercise to promote healthy aging, with a particular focus on improving cognitive and mobility outcomes. Her research has been adopted by health authorities and translated into a BC-wide program. In addition to providing comprehensive care for older adults with impaired mobility, the Falls Research Clinic is research intensive with the mandate to conduct research initiatives directed at improving outcomes for older adults. 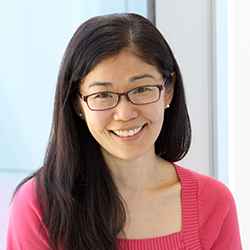 As Director of Research and Operations, Dr. Liu-Ambrose coordinates and facilitates these research initiatives while ensuring the provision of evidence-based care at the Falls Prevention Clinic. Professor Karim Khan, MD, PhD, FASCM, is an advocate of physical activity for its public health benefit. His research focused on activity for bone health and falls prevention particularly in the aging demographic. 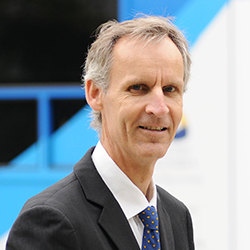 He is a founding investigator in the $40 million research enterprise at the University of British Columbia and Vancouver Coastal Health called the Centre for Hip Health and Mobility. Here over 100 investigators collaborate to improve the health of Canadians across the lifespan by improving their mobility and promoting physical activity. Karim is the editor of the British Journal of Sports Medicine – a strong supporter of ACSM`s Exercise is Medicine initiative. He is also an author of Brukner & Khan’s Clinical Sports Medicine (4th edition), a textbook that that helped many clinicians in their residencies and fellowships. He practices what he preaches and accumulates a total of 60 minutes of moderate to vigorous physical daily. 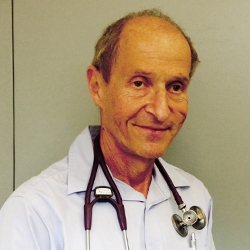 Dr. Larry Dian is the head of Geriatrics at the Falls Prevention Clinic as well as the Clinical Professor in the Division of Geriatric Medicine at Vancouver General Hospital. He also serves as the Co-Director of the Osteoporosis Centre of British Columbia and Co-Investigator at the Prohealth Clinical Research Centre. His interest is in promoting high quality of care for geriatric patients by working regularly with undergraduate and postgraduate trainees in Medicine, and participating in ongoing research in osteoporosis and falls in the frail elderly. He completed Geriatric Fellowship Training Programs at the University of Southern California (Los Angeles, USA) and the University of British Columbia. He has also served as the Head of the Division of Geriatric Medicine at UBC and Department Head of Geriatric Medicine at Vancouver General Hospital. Dr. Dian is a recipient of the Royal Canadian Legion Fellowship Award for postgraduate studies in the field of Geriatric Medicine, and the Bobby Miller Award for excellence in teaching. 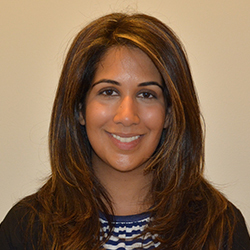 Dr. Parmar is a Clinical Instructor for Geriatric Medicine and Internal Medicine at UBC based at Vancouver General Hospital. She also provides outreach specialty clinics for Geriatric Medicine at the University Hospital of Northern British Columbia in Prince George. She has an interest in acute care medicine as well as outpatient care hoping to streamline the transition from hospital to home and preventing hospital admissions with consistent comprehensive outpatient care. Quality of life and multipronged treatment plans involving exercise and medical care are also a focus for her. She has a passion for teaching and is active with medical students, Internal Medicine specialty residents and Geriatric Medicine fellows. 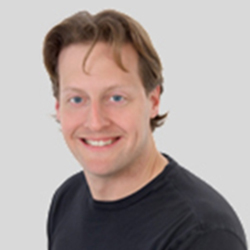 Dr. Ken Madden is an associate professor of Geriatric Medicine at the University of British Colombia and the editor-in-chief of the Canadian Geriatrics Journal. His lab has examined the effect of exercise interventions in older adults with Type 2 diabetes, the ability of different forms of exercise to impact arterial stiffness in subjects at high cardiometabolic risk, and the impact of sedentary behaviours on cardiometabolic risk factors. He has also examined the impact of age and diabetes on postprandial cardiovascular responses and the cardiovascular responses to orthostatic stress. He is division head of Geriatric Medicine at the Vancouver General Hospital, and holds peer-reviewed grants from the Canadian Institutes of Health Research, the Heart and Stroke Foundation of Canada, and the Canadian Diabetes Association. He is currently working on a research project with the Falls Clinic on future treatments for postprandial hypotension, a condition where older adults drop their blood pressure after eating, resulting in fainting and falls. 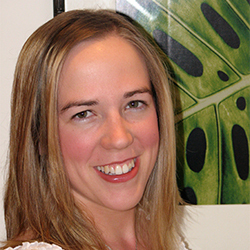 Jennifer Davis, PhD, is a postdoctoral fellow working with supervisor Dr. Teresa Liu-Ambrose. Jennifer has a B.Sc in Honours Physiology, a Masters of Science in Experimental Medicine and a PhD in Health Care and Epidemiology at UBC. Jennifer is working jointing with the BC Ministry of Health on an initiative to prevent falls and improve mobility among older adults. Jennifer is working with the Vancouver Falls Prevention Team on scaling up falls prevention efforts across BC. Jennifer received both a MSFHR Junior Trainee Award, MSFHR Senior Graduate Studentship, MSFHR postdoctoral fellowship, CIHR Canada Graduate Scholarship and CIHR postdoctoral fellowship for her graduate studies.